Guest blogging is a time-honored way of getting new links from reputable sources, but it is important for you to know how to guest blog right way. Did you know that these posts could be hurting your company instead of helping it? Since 2014, Google has been cracking down on guest blogs that are done solely for the purpose of SEO, so let’s talk about how to guest blog in a way that won’t hurt your company. Google is looking for posts that add real value and come from real authorities – not simple marketing spam from links you haven’t truly earned. Essentially, if all your post does is promote your company and your product, it’s probably not going to be considered very valuable – but if you’re helping the customer, such as by explaining a problem in significant detail and then discussing how they can solve it (and how products like yours can help), that’s probably going to be accepted. If the post isn’t adding real value, there’s a good chance you’ll get penalized for it. In 2014, for example, Google targeted the MyBlogGuest network for removal partly because of numerous blog posts that added links, but had nothing to do with the subject of the blog. Even high-quality content can get dropped if the site it’s on goes under – and that’s one of the things that many bloggers overlook. This happens also because the (Ann Smarty) site administrator did not enforce nofollow for the links and did not reinforce content quality guideline. Guest blogging isn’t just about creating content that fits all the little rules of the average post – if it doesn’t truly match the site it’s going on, then it’s going to get penalized and waste all of your time and effort. 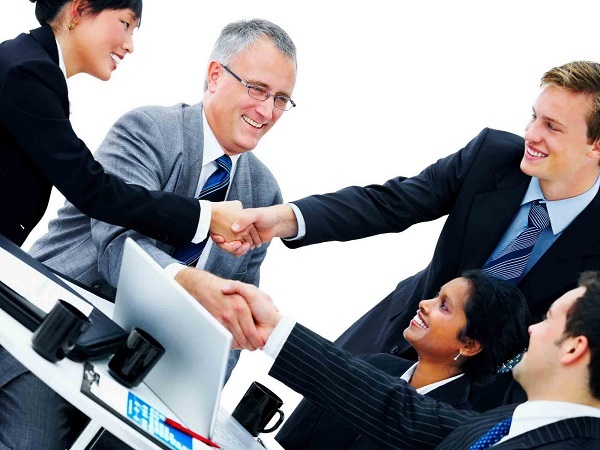 Acquire an authoritative link for SEO purposes. 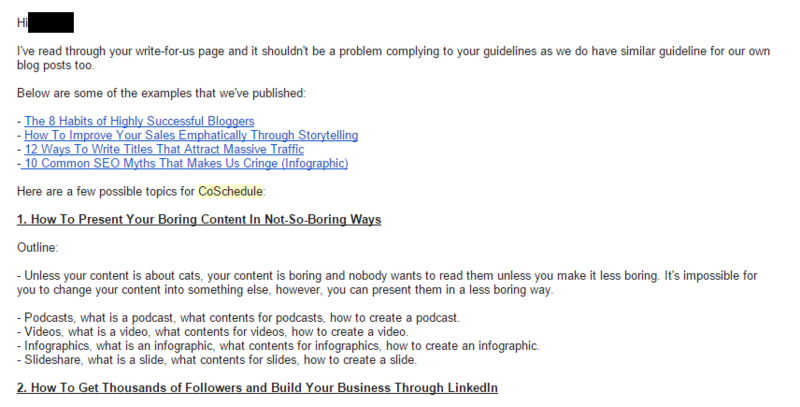 The number one reason MyBlogNetwork gets penalized is because of dofollow link. You still can get authoritative link without end up like MyBlogGuest if you follow these steps in the below section. Now, if you’d like to learn how to guest blog properly without getting a penalty, just follow the plan below. But first of all, please make sure your website did not conduct any blackhat SEO tactics and you are creating great contents. This is a key detail that many companies working with guest blogs forget – the blog should be influential, not simply one that talks about a given topic. You can use paid tools like Buzz Sumo, Topsy, and Authority Spy to get started. You can also check Twitter, by searching for your keywords and the phrase “guest blog”. Once you have a list of potential sites, it’s time to start trimming them down. Look at them a little more deeply, and try to figure out which one have the biggest audience and are most likely to be seen by others. The ideal blogs will be those both heavily read and on-topic – don’t bother with blogs that aren’t talking about the right things. There’s a detail of learning how to guest blog that companies tend to overlook – people read that blog for a reason, and if you don’t fit in with that reason, they’ll skip right past you. Once you’ve identified a great guest blogging website, the next thing you want to do is to record the website address and its owner’s email address (remember to download our free tracker down below). 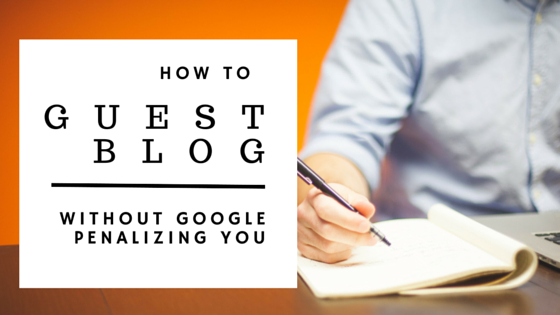 You want to identify at least 10 different websites to diversify your guest blogging effort. If a website does not have its owner’s email address published, you can use tools like “Email Hunter” to reveal it. Ensure Their Audience Matches Your Own: Are the people reading the blog your potential customer? Or at te very least, will they be interested in reading your blog? If not, then move them down the list. A smaller blog with matching readers is much more beneficial than a huge blog with huge irrelevant reader base. 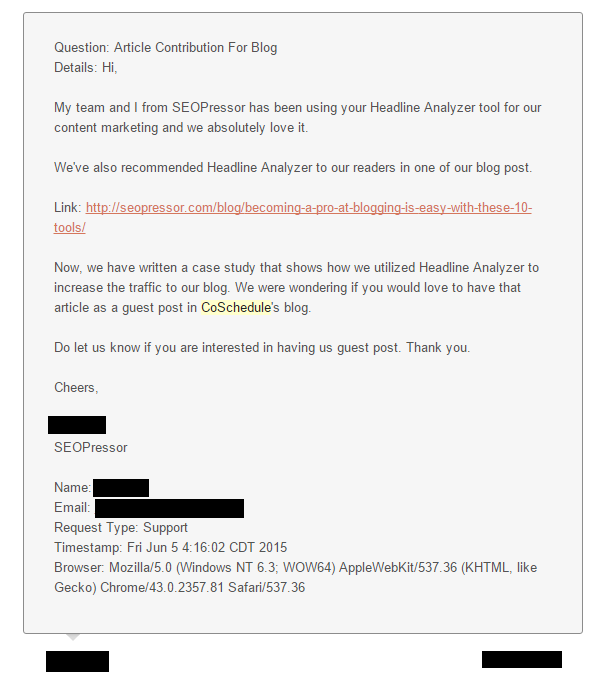 Moreover, you need to know what type of reader you are getting from Guest Blog. You need to read their content to understand the context. You also might want to dig out all the guest blogs he or she did before. 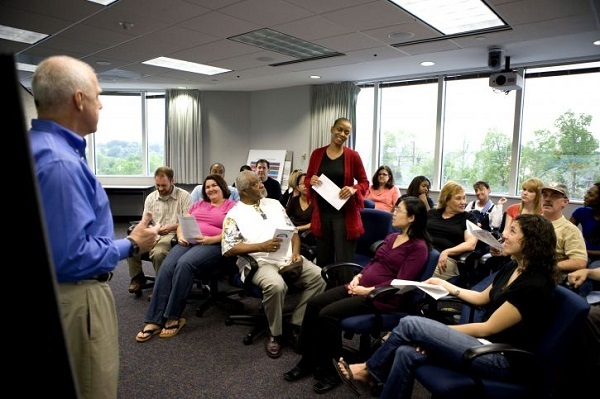 Reviewing the previous guest blog may help you have a glimpse on how he or she did guest blogs. Based on the guest blog, you are able to understand where does the audience come from. To do this, all you have to do is to search for author’s name minus his website. Just enter his or her author name and minus the author’s website. 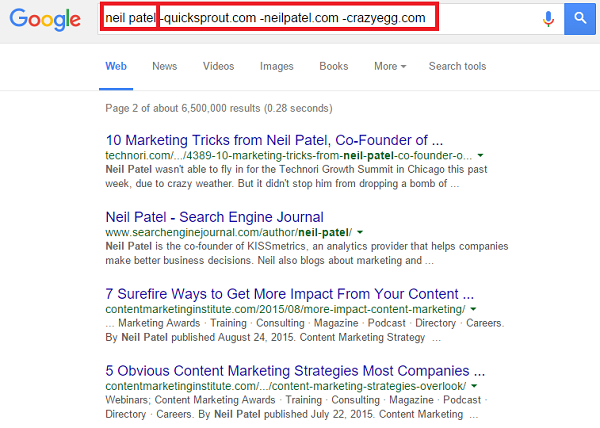 For example, Quick Sprout’s author is Neil Patel. To discover where he have been guest blogging, just google “Neil Patel -quicksprout.com -neilpatel.com -crazyegg.com” [ Author Name -(website URL)] as the following shows. Using these information, we are able to have a grasp of quicksprout.com. If you are just looking at QuickSprout.com alone, you may think that Quicksprout.com is all about growth hacking. 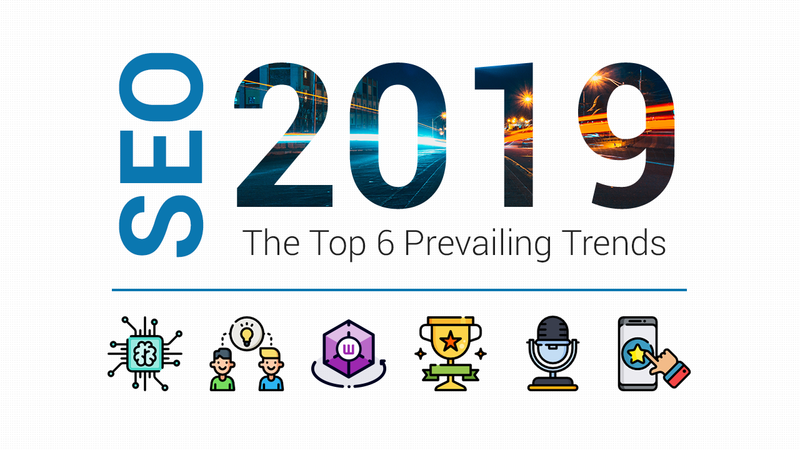 However, if you take the other websites that had Neil Patel guest blog on into account, you will find that he writes a lot about crowdfunding, SEO, content, and entrepreneurship. With these information in hand, we can then safely assume that may also love to receive such topics (entrepreneurship, content, SEO, and crowdfunding) on Quicksprout.com. Lastly, ask yourself “is topic about content marketing or entrepreneurs going to entice my blog reader?” If yes, go ahead, this s where you want to guest blog on! If no, do not guest blog on that blog. Evaluate Their Presence on Social Media: Do they perform outreach on social media and do everything they can to ensure that their posts get read? Blogs that have active social communities tend to have proactive readers – who, in turn, are more likely to click on your links and potentially turn into customers. It is also important to evaluate their post’s engagement on the social media. Great content will more likely to have a lot of comments. Track Their Traffic with Similar Web: Using Similar Web – or a similar tool – to track traffic is an excellent way to see how well a website is performing over time. Naturally, the more traffic there is, the better is! On the other hand, if a site has a long downward trend in traffic, then it’s probably not worth the effort and time. Audit Their Links: Make sure the blog is focused on the types of links it should be creating. You can get more information about whether or not a specific site is currently penalized at ismywebsitepenalized.com. If the site is penalized, stay away from it. If the website is using blackhat methods to build links and grow but haven’t penalized by Google. You’ll want to immediately remove them from your guest blogging list – they’re going to get penalized sooner or later, and that could ultimately impact you as well. Ahrefs.com offers a good service for detecting unnatural links. You can use it to detect unnatural links on their site. Unnatural links usually are those weird and unrelated anchor text that came from suspecting looking websites. Web sites that have these kinds of links are more likely to get penalized by Google, so stay away from them. But… if you think the website has huge potential to drive you huge traffic and you really don’t want to miss the chance, that’s also fine, just make sure you include a Nofollow link to protect yourself. Evaluate their Overall SEO Domain Authority and Page Authority with the Moz Toolbar: Simple and straightforward – the more valuable and authoritative a site is, the more valuable a link to you will be. Website with a better domain authority (DA) tends better content quality and less likely will conduct black hats SEO tactics. Use RankReveal to Identify the Keywords They’re Ranking For: What keywords does the target site actually rank for? If their overall ranking is focused around keywords like WordPress, How To Start A Blog With WordPress, and Learn To Use WordPress Plugins, then we have a pretty good idea about the topic we should write about and the chance it will actually rank in a decent position. Once you have all of these informations, reprioritize where you want to guest blogging on. This is a part of learning how to guest blog effectively – all of these numbers can and will affect your end results. Here’s another part of learning how to guest blog that companies often overlook – other blogs do not exist in a void, and their creators often have their own ideas about what should be going on. You’ll have to figure out whether or not they accept guest blog at all (and some won’t, regardless of what you say or do). At the same time, you want actually read their blog and figure on how you can write in a similar tone. If your guest blog sounds too different from the blog’s normal content, readers may see it as noise and quickly skip over it. Now, there are two main methods for getting content onto their blog, and as you decide how to guest blog for your own advertising, you’ll have to decide which one you want to use. This is a hard way, but it is an effective way to get the webmaster to approve your guest blogging. One way to get noticed is to start adding value to their blog, usually by engaging with others in the comments section and adding something important or thought-provoking to the discussion. This is especially valuable if you can get other people to respond with their own thoughts and opinions. For example, let’s say that your influencer had a blog post about 5 ways to sleep better at night. You could add three or four additional ideas – ideally backed by independent evidence – to further help their community. Previously, I did a blog about how to get to them to notice and here are the few tips. If you connect through both comments and social media, you’ll get noticed – and once you’re established as an authority in your own right, you can pitch a guest blog idea. This is labor-intensive and takes the time to do, but it has a high success rate. It also helps you get a better feel for the blog, which will be reflected in the final blog you write. 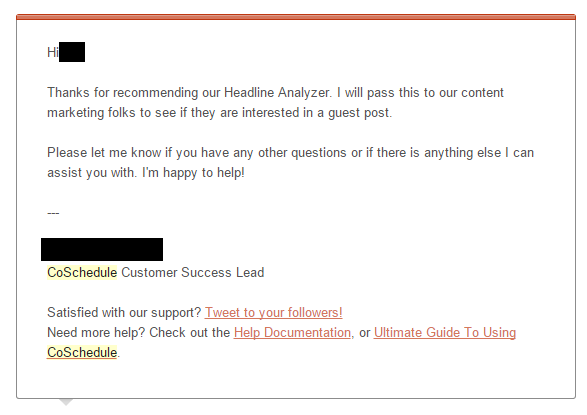 Headline: The subject line of the email should stand out and be attention-getting, or it’s likely to be ignored. Pitch: Explain who you are and why they should accept a guest blog from you. Remember, this should be all about how you can help them – maybe you’re offering a free product, or you want to talk about ideas they haven’t explored… the point is that you’ll want to convince them your post is worth hosting. You do not want to end up the same as other emails. Presentation of Material: You’ll also want to pre-write your idea – make sure it’s structured well, has valuable information, and covers things that the blog hasn’t talked about yet. After few days later we successfully publish the guest blog on Coschedule blog. This is how easy it is. 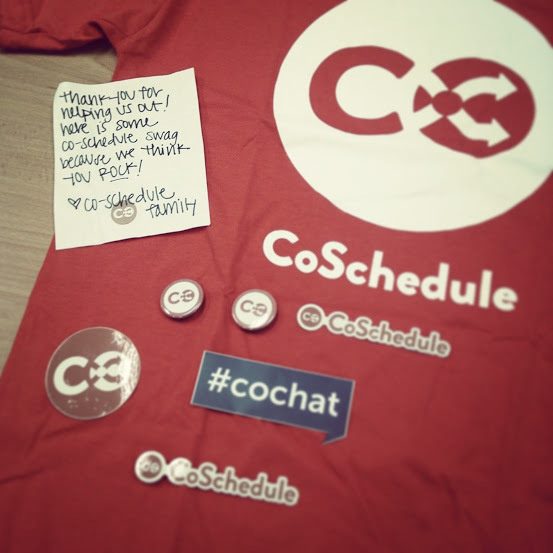 we also received these as a contribution to CoSchedule blog. Now, as you learn how to guest blog, you might be inclined towards #2 because it’s usually faster – but the truth is that #2 has a much higher rejection rate because high-quality website owners often receive thousands of emails every day. They may even think you’re nothing more than another company trying to spam people with advertising, and that’s why it’s so important to focus on adding value to their site. Email is the best way of communicating with influencers – even if you decide to go with option #1 in step 4. If they’re expecting an email from you and want to read it, they’ll find it – especially if you can connect with them through another method (say, social media) and let them know when your message was sent. As you can see, learning how to guest blog is about more than just creating a post – if you truly want to succeed, you have to understand each site in nearly as much detail as you understand your own. Following these seven steps will reward you with high-quality links and active, interested leads – exactly as guest blogging is supposed to do. 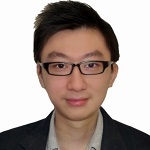 Brian is passionate in inbound marketing and is a solo traveler. He loves to read and talks about new ideas in inbound marketing. "Worship" Google every day and is consistently learning to work more efficiently.